We had a great time and many groomsmen said that the limo was one of the wedding highlights. We had a great time and many groomsmen said that the limo was one of the wedding highlights. Our chauffeur, Peter, was outstanding and way more patient than we deserved. Shawn (chauffeur) was very courteous and professional. Tammie and I had an amazing experience with your company. Rick, our chauffeur, was super professional. I would like to thank you for the excellent service we received last night. The limo was impressive (it was a great hit with the younger crowd), Rick, our chauffeur, was super professional and the fact that you provided 2 pick up locations was especially appreciated. I just wanted to send a note extending a sincere thank you to East Coast Limos & Mike, our chauffeur, for the outstanding service. Mike was absolutely wonderful and we couldn't have asked for anything better. The experience was fantastic! Ciara was so surprised that we got her a limo for her birthday. Our chauffeur, Peter, was flexible and made sure we had everything we needed. 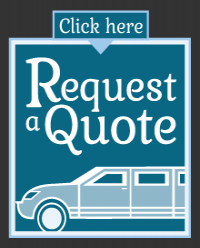 We were very satisfied with the service provided by East Coast Limos. The limo was nice and clean and our chauffeur, Peter, was flexible and made sure we had everything we needed. He even suggested making a stop to take a group picture which was much appreciated. We would recommend this service to anyone. Everything was wonderful! The kids really had a fun time and Peter, our chauffeur, was great. He even recommended a great place for us to stop and take a group photo. Everything went off without a hitch! We couldn't be happier with the service received by East Coast Limos. They were prompt and clear in their emails, providing great customer service leading up to our event. Our chauffeur, Shawn, was not only flexible, courteous and professional, his cheerfulness definitely added to our long drive. We hired East Coast Limos to provide a shuttle to destination wedding guests flying from Montreal airport. We look forward to working with them in the future.